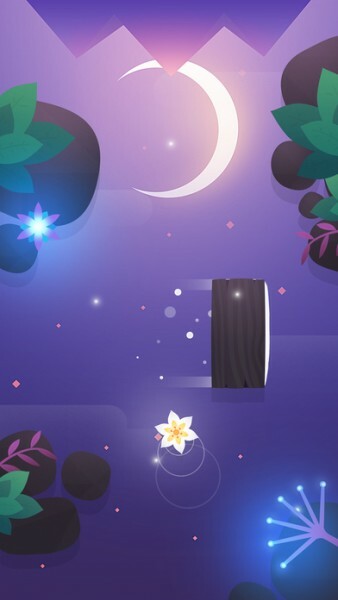 Float ($1.99) by GalacticThumb is a gorgeous arcade game that offers a relaxing atmosphere while also providing some fairly challenging gameplay at the same time. 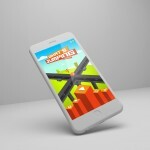 If you like other calming games like Monument Valley and Swapperoo, then chances are high that you’ll appreciate what Float brings to the table. While everyone in the world seems to be playing The Legend of Zelda: Breath of the Wild on their Nintendo Switch lately (me included), every now and then I need a break from exploring the biggest open-world map ever so I turn to my iPhone for some gaming time. For these quick gaming sessions, I like to take a breather and not have to worry about solving more puzzles at the moment (there’s plenty of that in Breath of the Wild), so Float happened to catch my eye a few days ago. 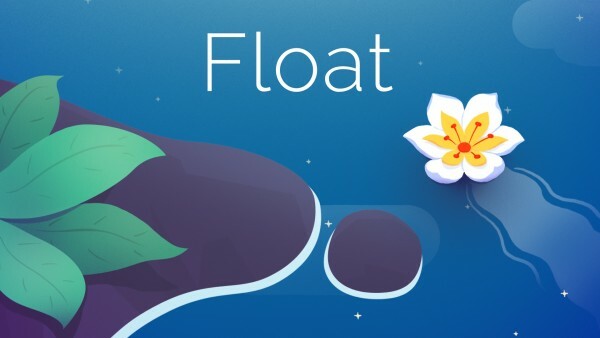 In between my sessions of Breath of the Wild, Float is a good alternative and definitely worth a look at if you’re into meditative but stimulating reflex games. Visually speaking, Float is beautiful and stylish. The game sports a 2-D aesthetic that has a bit of depth to it thanks to the shading and drop shadows of objects in the water. Everything also looks fairly minimalistic, but there are still a ton of small details in the game, such as the mentioned shading, as well as textures, lighting, and particle effects. 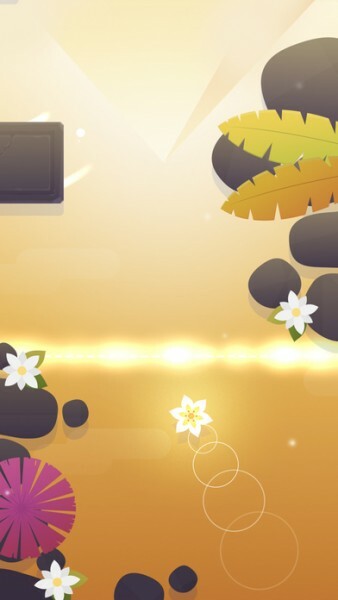 Anyone who loves minimalistic style in their games will enjoy what they see in Float, that’s for sure. The game also has a fantastic color palette, featuring a myriad of soft pastels to bolder and more vibrant hues, depending on the stage that you’re on. Animations are smooth and fluid in the game, so I had no lag on my iPhone 7. 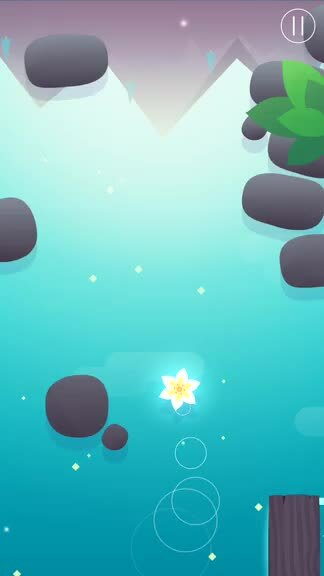 It’s almost hypnotic when you watch the ripples move through the water on the screen and push the flower upwards. To top everything off, Float has a tranquil, ambient soundtrack that is delightful to listen to, so I recommend immersing yourself in this game with a good pair of headphones. Galactic Thumb did a great job with the visuals and audio in Float, that’s for sure. 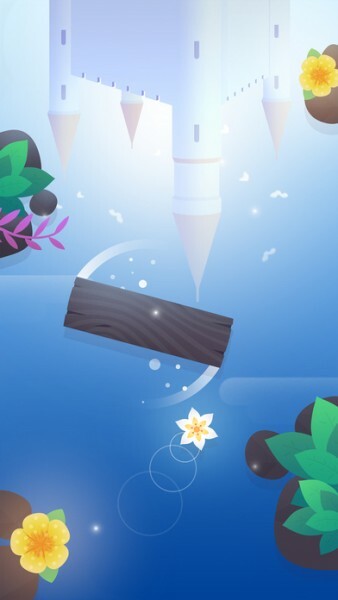 Like other arcade games, Float is level based, and at the moment there are eight total areas for players to float their way through, and more are coming soon in future updates. Each area features several parts as well, so there’s slightly more content than you see on the surface. However, only the first area is available from the initial download of the game, and you’ll have to clear all sections of it to unlock the next chapter, and repeat the process to get the rest. 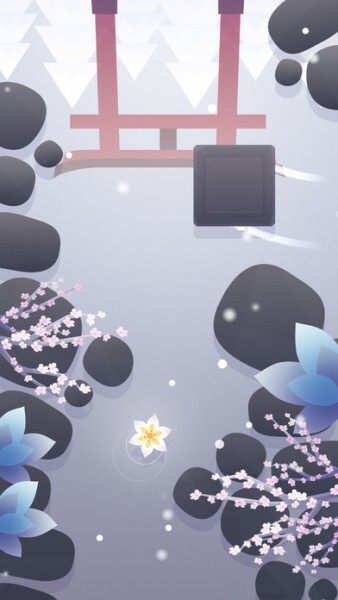 The goal in Float is simple enough: get the flower to the destination marker at the top of the screen (it scrolls vertically) by moving it with ripples in the water, but avoid obstacles, as they break the flower with a single touch. The game sounds pretty easy, but things get deviously tricky as you go. The controls in Float are simple, intuitive, and clearly designed for touch screens. 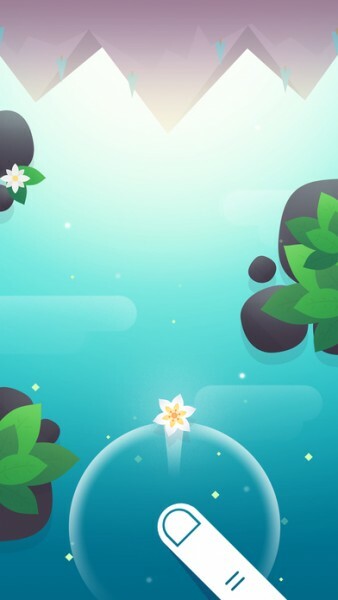 To make the flower move in the water, just tap anywhere on the screen, and then ripples will emanate from the point of contact. These ripples then push the flower in that direction, and the closer your tap is to the flower, the further it moves. However, don’t get too carried away — challenging obstacles will present themselves as you go, and you’ll have to safely maneuver the flower so that it doesn’t touch anything, otherwise you’ll have to start over from the beginning of that section. 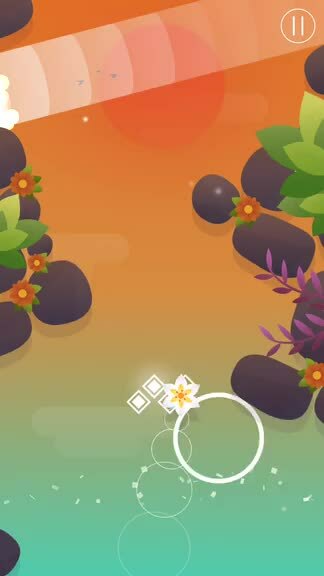 Additionally, the flower can bounce off of the sides of the screen, which can be used to your advantage to get around objects, or even to your detriment. The game is all about precise taps and timing, so it’s a perfect test of your reflexive skills. If you need to pause the game, just tap in the upper right corner. 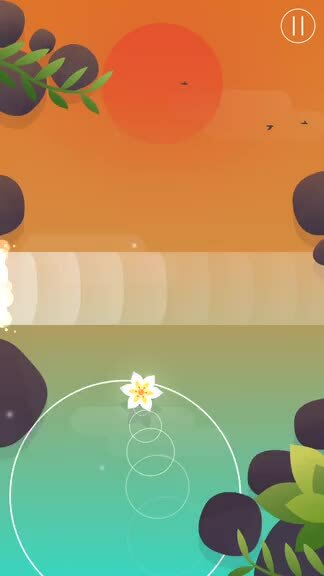 Float makes use of the haptic engine on the iPhone 7 and 7 Plus too, so you get nice feedback if you’re playing on a newer device. I haven’t spent too much time with Float just yet, but so far in my testing, the game is a fairly enjoyable experience. 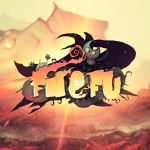 The visuals are stunning and exquisite, the music and sound effects are soothing and delightful, and the controls are super easy to pick-up-and-learn. I am a bit surprised at the difficulty of the game though, since it markets itself as “relaxing” but the gameplay is more of a test of skill rather than anything else. It doesn’t bother me too much because I got the hang of it after a few moments of practice, but I see some iTunes reviews where people are complaining that the game is too hard. Still, Float is proving to be a fun little time killer that I am returning to in my spare time, and it’s one I recommend checking out if you like to unwind but have a challenge at the same time. 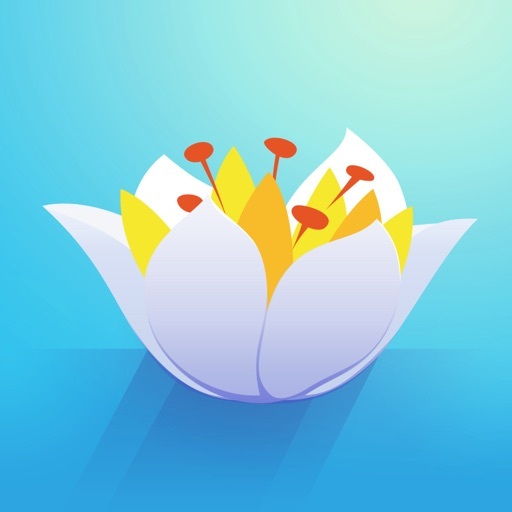 Float is available on the App Store as a universal download for your iPhone and iPad for just $1.99. There are no in-app purchases.